Given the average family spends around £400 on lunch money per child per year, free school meals could also mean substantial savings for parents. So in a nutshell, parents save money, children eat more healthily and are better able to concentrate in lessons. Everyone’s a winner. Or are they? The £600 million investment aside, I think there may be more to this particular free lunch than first meets the eye. School dinners have apparently come on in leaps and bounds since Jamie Oliver’s exposure of the type of food typically served up at school dinners in 2005, and his resulting Feed Me Better campaign. But I think schools providing healthy meals based on fresh produce, rather than the processed fare most of us grew up with, are still an exception rather than the norm. It’s one thing for kids to be getting a free meal at school, but another thing for the government to claim that this food is definitely better for pupils than bringing in a packed lunch. Nick Clegg clearly never saw the contents of my lunch boxes. 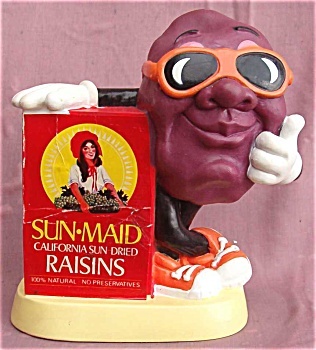 I still vividly remember those mini packets of Sun-Maid raisins I got lumbered with while my friends munched on Viscount biscuits at break time. Quality and healthiness of school lunches aside, something rather fundamental seems to have been overlooked in the government’s bid to help save families (particularly those on a low income) money. Namely the thirteen or so weeks of school holidays that children have where they aren’t getting any free food. In terms of budgeting, I suspect this is going to present the average family with a challenge. Along comes half term and suddenly parents have to find additional money to feed their kids (and possibly their kids’ friends) for a week. When people are living close to the bread line to begin with, this is likely to be the kind of situation that leaves parents needing to rely on food banks to feed their family, or going hungry themselves to make sure their children eat. I partly admire what the government is trying to achieve with their free meals policy. Certainly, I’d rather see children sitting down at a table at lunch time than going to Tesco Express for a chocolate, fizzy drink and bag of crisps. And of course I’d rather see kids from low income families being provided with lunch, rather than not eating. But as ever, no initiative – even one that seems positive – is without its problems. 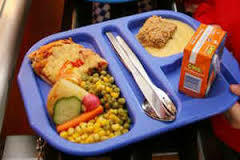 Free or otherwise, school lunches should have to meet minimum standards in terms of how fresh and healthy they are. Special dietary requirements need to be properly thought out (as a vegetarian I know from experience how often veggie food involves pastry, cheese or, more often than not, cheesy pastry). Beyond the lunches themselves, children and their parents need to be better educated as to what constitutes a nutritionally balanced meal and how to go about making one. I fear we’ll never attain the amazing standards of the French when it comes to school lunches, but really, hot dinners are only one small piece in a complex food culture puzzle that Britain will no doubt continue to grapple with for decades to come. This entry was posted in food and tagged food culture, food poverty, free school meals, healthy eating. Bookmark the permalink.